CORVALLIS, Ore. – By tapping nutrients from bedrock, red alder trees play a key role in healthy forest ecosystems, according to a new study. The study published today in the journal Proceedings of the National Academy of Sciences. 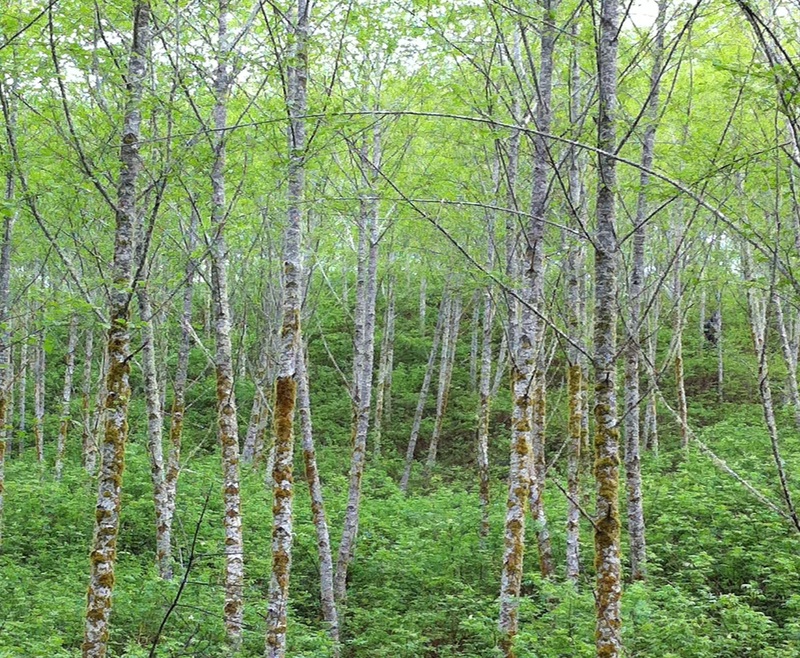 Researchers from Oregon State University and the U.S. Geological Survey determined red alder, through its symbiotic relationship with nitrogen-fixing bacteria, taps nutrients that are locked in bedrock, such as calcium and phosphorus. This process accelerates rock dissolution, releasing more mineral nutrients that allow plants and trees to grow. The study addresses the long-term implications of how nutrients make their way into ecosystems, which sustain their long-term growth and productivity and ultimately store carbon, said Julie Pett-Ridge, a geochemist in OSU’s College of Agricultural Sciences and a co-author on the study. The research also furthers the understanding of a specific set of trees that are known for their ability to naturally fertilize forests by converting atmospheric nitrogen into forms available for other plants. This process, called nitrogen fixation, is essential for natural ecosystems. Red alder is a deciduous broadleaf tree native to western North America. It is closely related to other species of alder around the world. Like all alder species, red alder can release nitrogen into soil through nodules on its roots. 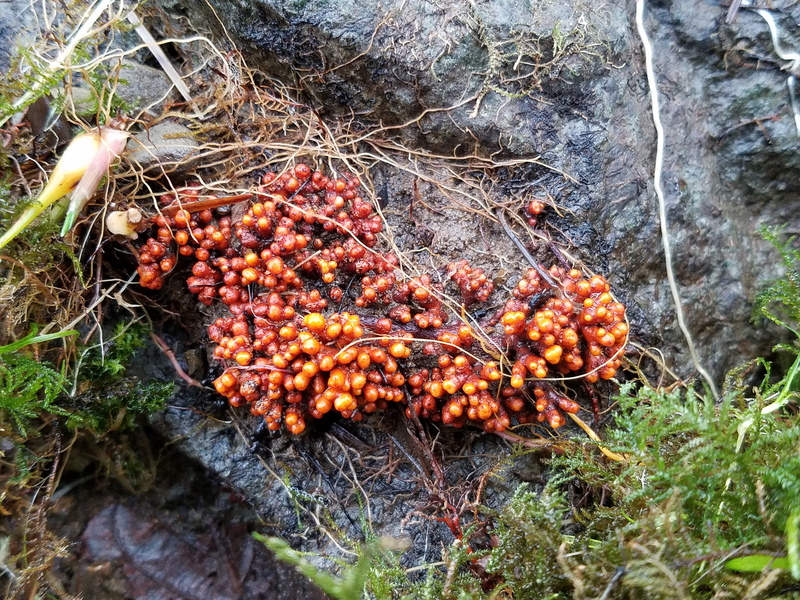 In a way, red alder “eats” rocks, said Steven Perakis, an ecologist with the USGS and lead author on the National Science Foundation-funded study. Nitrogen is the most important nutrient for plant life. But atmospheric nitrogen is useless unless its chemical bond is broken down by bacteria. Some tree species such as red alder have formed a symbiotic relationship with nitrogen-fixing bacteria. The bacteria have an enzyme that converts atmospheric nitrogen into ammonia, which promotes plant growth. In the study, Pett-Ridge and Perakis looked at six different species of trees growing in the Tillamook State Forest in the Oregon Coast Range: Sitka spruce, Douglas-fir, western hemlock, western redcedar, bigleaf maple and red alder. They collected leaves to analyze their strontium isotope composition, which reveals tree nutrient sources. They determined that the red alder leaves showed a stronger fingerprint of rock-derived nutrients than the other trees. The isotope analyses were made in the W. M. Keck Collaboratory for Plasma Spectrometry at OSU. Pett-Ridge is an adjunct professor in OSU’s College of Earth, Ocean, and Atmospheric Science. Perakis is a research ecologist with the USGS Forest and Rangeland Science Center in Corvallis and a courtesy faculty member in OSU’s College of Forestry.